Check out these resources to start or improve a school recycling program. Learn about all the benefits of recycling used motor oil. 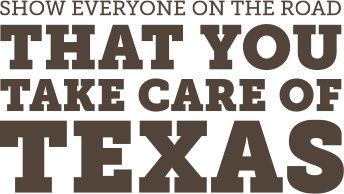 Take Care of Texas by disposing of electronics responsibly. Learn what to do with your used batteries. Read more about What Do I Do With Used Batteries?